RE•WORK | Blog - Keeping Track Of Deep Learning - Which Industries Really Need It? Keeping Track Of Deep Learning - Which Industries Really Need It? The landscape of deep learning is constantly evolving. The training of DL models has come a long way from Yann LeCun's combining of convolutional neural networks with recent backpropagation theories to read hand-written codes in 1989, a model which took an impractical 3 days to train. (LeCun et al., 1989) From initial experiments in training models to play games and recognize basic shapes and images, the AI has matured into a tool positively impacting and disrupting society across multiple industries. Deep learning is not just for 'tech companies' and the big players in AI! Healthcare, finance, transport, travel & tourism, retail and manufacturing are just a few of the sectors leveraging deep learning to optimize efficiency and move their products forward. Companies ignoring the capabilities of AI systems are sure to get left behind and suffer as the technologies progress. It can be overwhelming to even consider how deep learning can have an impact on certain industries, and at the Deep Learning Summit in London this September 21 & 22, we will bring together cross industry experts who will share their progressions and research in the field, explaining real world applications and solutions. 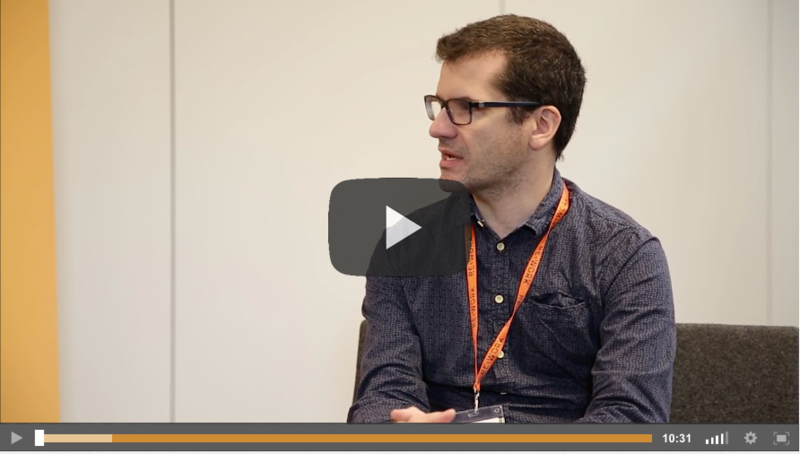 After his presentation at the Summit last year, Oriol sat down for an interview with Nathan Benaich from Playfair Capital to answer some more questions. You can watch the interview here. This year in London, DeepMind will be returning to discuss their most recent progressions in deep learning, and we will hear from research scientists Jörg Bornschein and Marta Garnelo. You can stay updated on the schedule here. Not all industries seem to cry out for deep learning, but when employed effectively the impact on businesses can be huge. Time and money is saved, customers are more satisfied, and revenue increases across the board. Retail is one of those sectors that doesn’t immediately spring to mind upon hearing the phrase ‘deep learning’. However, the countless products, sizes, shipping requests, abandoned basket attempts, and countless other factors all provide deep learning’s vice: an abundance of data. The fashion industry is a visual world with millions of images displayed everyday by fashion commerce sites to serve consumers the latest trends and products. Categorizing these products is laborious and challenging. Susana Zoghbi, Post Doctoral Researcher at KU Leuven explained how deep learning can help to label these items to automatically organize and mine visual items according to their attributes without human input. Her presentation is available to watch here. 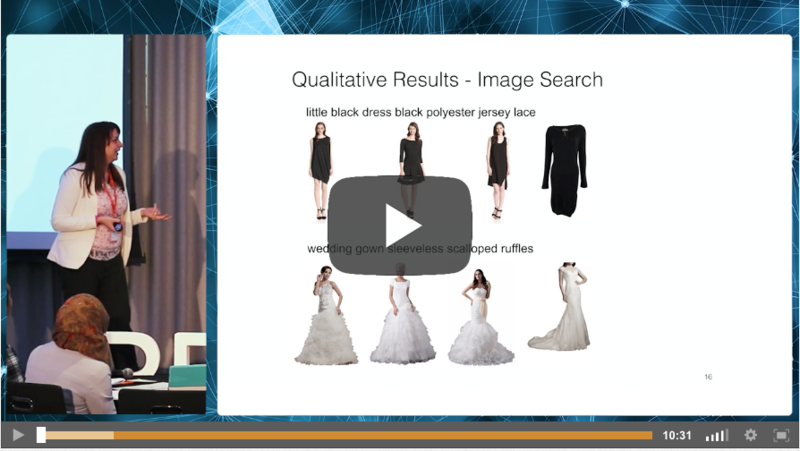 This month at the Deep Learning Summit we will hear from Nikolaos Aletras from Amazon who will explain how they are also labelling topics, in their case through the use of neural networks. He will explain how the abundance of data in online marketplaces and shops is overwhelming for users in a way that makes it difficult to find specific information or explore such data collections. Automatic topic labelling is the task of generating a succinct label that summarises the theme or subject of a topic, with the intention of reducing the cognitive load of end-users when interpreting these topics. In his presentation, Nikolaos will present neural network approaches to labelling topics with text and images showcasing their effectiveness on providing meaningful representations of the topics. Throughout the two day summit we will hear from experts from OpenAI, Facebook, NVIDIA, Jukedeck, Imperial College, Deep Instinct, and Renault Digital just to name a few, who will all be sharing their deep learning progressions and applications in each industry. You can keep up to date with the most recent speaker announcements and view the agenda here. Meet experts at the Deep Learning Summit in San Francisco this 25 & 26 January.